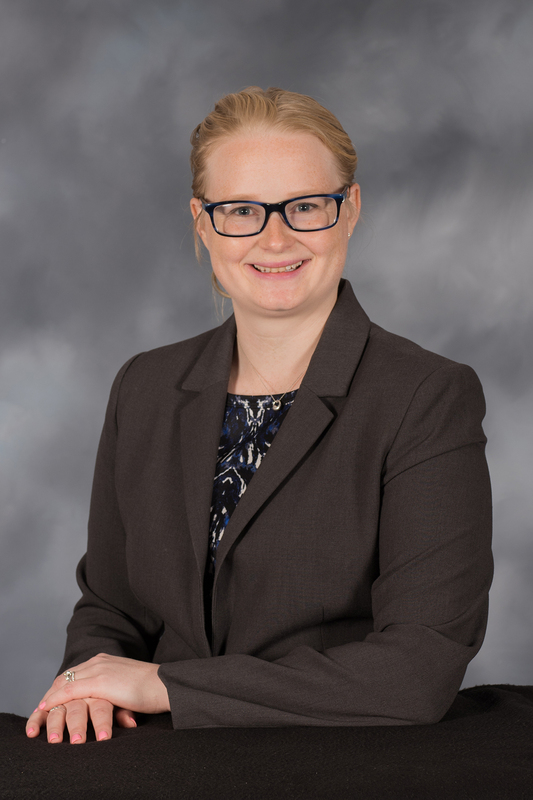 Assistant Prof. Elizabeth Getto, Ph.D.
Dr. Getto is excited to join the Mechanical Engineering department. She received her M.S. and Ph.D. in Nuclear Engineering from University of Michigan. Her thesis work focused on radiation damage in next generation reactor materials. Specifically, she focused on how ion irradiation can be a suitable surrogate for reactor irradiations for next generation reactor concepts. Her work has recently been used to set the standard for ion irradiation techniques at recent best practices workshops. While at the University of Michigan, Dr. Getto received many awards for her research including First Place in the 2016 Innovations in Fuel Cycle Research Award: Advanced Fuels Division and the 2016 American Nuclear Society Materials Science and Technology Division’s Student Literary Award. In addition, she was the recipient of the National Science Foundation Graduate Fellowship, the Clare Booth Luce Fellowship, the highest award presented to students in the Society of Women Engineers and the Tau Beta Pi Graduate fellowship. Dr. Getto is excited to be teaching classes involving topics in both nuclear engineering and materials science including "Nuclear Materials Science" and "Strength of Materials." Her current research interests include emulation of reactor damage using ion irradiation in a variety of structural materials as well as assessing the effect of welding on microstructure and mechanical properties. Assistant Prof. Steve McHale, LTC, Ph.D.
LTC Steve McHale is an active duty Army officer and Assistant Professor in the Mechanical Engineering Department at the United States Naval Academy. Prior to joining the faculty in 2016, he spent ten years in various tactical and operational leadership positions in the Field Artillery branch and 12 years as a Nuclear and Counterproliferation Officer (Army Functional Area 52), with assignments at the Defense Intelligence Agency (DIA), the Defense Threat Reduction Agency (DTRA), and on faculty in the Engineering Physics Department at the Graduate School of Engineering and Management of the Air Force Institute of Technology, where he completed his Ph.D. in 2011. LTC McHale teaches and conducts research in the areas of radiation transport and shielding, nuclear weapon effects, and engineering design and coordinates numerous DTRA-sponsored summer internships for midshipmen in the DTRA J9NT (Nuclear Technologies Research and Development) mission areas of radiation detection, weapon effects, radiation-hardened electronics, and post-detonation nuclear forensics.